Starring: Ben Affleck (Hollywoodland), Bryan Cranston (Drive), John Goodman (The Artist) and more. Rated: Rated R for language and use of violence. Oftentimes when a historical “based on true events” movie claims to tell a story rooted in an event that happened in the past, two things pop into my head: 1-either there will be a familiar story painted over with way too much character focus and/or special effects, or, 2- with an already known ending, this movie may be okay, but the ending will be padded with so much emotion that the events leading up to it may end up forgotten. and…usually, one of those 2 thoughts, I find, aren’t too far off from the truth. 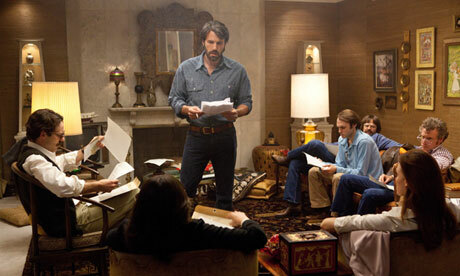 What an amazing job Ben Affleck did in telling the recently unclassified events that took place surrounding the extraction of American hostages in a time of civil unrest and trouble in Tehran, Iran in the midst of the revolution. 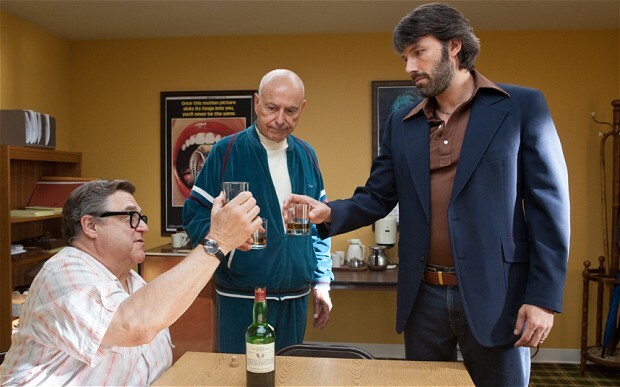 Affleck stars as Tony Mendez, the CIA “exfiltration” specialist who cleverly designed “the best bad idea” the US government had to extract six Americans who were in hiding in the home of the Canadian ambassador. If I had to describe this movie in one word, that word would be: TENSE. With the recent attack on the US embassy in Libya still in memory, the film very quickly brings the sense of reality to home as we watch the reenactment of the US embassy in Iran overtaken. Affleck very artistically and appropriately inserts frames and camera shots taken directly from archival photographs and recreates them in the movie adding a unique sense of genuine reality as emotions set in during the somber and scary scenes. One of the greatest parts of this film is the use of all of the characters that Affleck used in telling this story that has never been told on screen. The delivery of the cast used for these characters really brought to life the events that took place. You can’t really make up better stuff than this, folks. Reality, as opposed to fiction, truly creates the better stories. 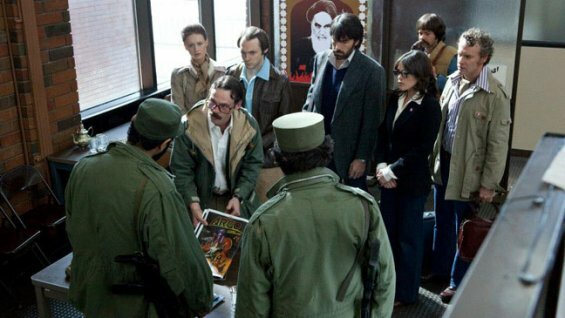 The characters bring the power of the events to the audience in such a fashion that will captivate far greater than most movies about espionage and covert operations. They are working hard to make everyone else in the movie believe they are who they say they are, and their work makes it easier for us to accept them as such. It is an incredible performance by all. The premise of a Canadian film crew seeking to make a science fiction film sounds challenging enough, but there are even greater challenges that Affleck allows us to be a part of. He invites us into the experience as we see the angst and anticipation of the people whose lives depended on the Iranian officials around them believing the ruse they set up. Timing, records…everything is of the essence. Nail-biting scene after white-knuckling scene, you will have your eyes glued to the screen as you watch the events unfold. ever waiting for the proverbial sigh of relief, yet unsure when…if ever…it will arrive. Even those who were alive during the events that took place, the fact that the details of these events recently were unclassified means there is something new to the story for all to watch and see unfold. What impressive story telling by Ben Affleck. With a great cast, a subject of humanity and survival, the look and feel of the early 80’s and even a contributing musical score, there is very little to complain about here. 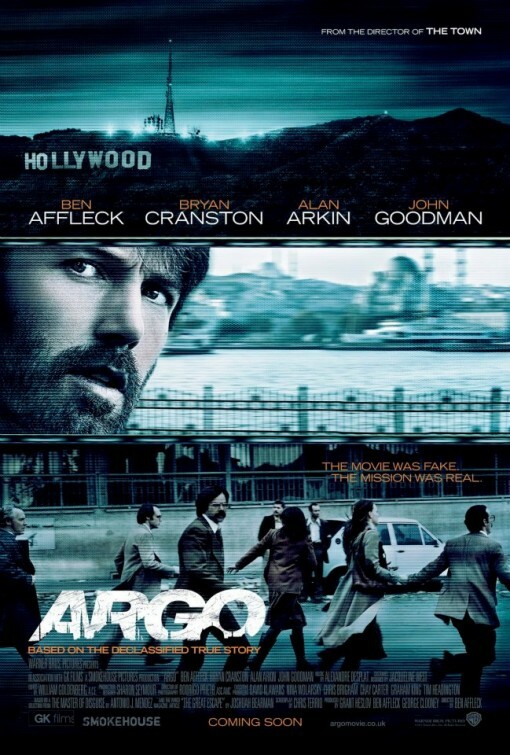 I found nothing disappointing about Argo and give it the coveted perfect score. Bravo, Affleck. Bravo. Great review. Seems Affleck is becoming one of the best director in the game. Thanks Issy. Have you seen it yet? I hope you enjoy it as I did. Affleck is really coming into his own. I’ve got to see this one. Ever since he directed The Town, I stopped disliking Ben Affleck and now think he’s one of the best actor/directors currently working. Plus it has Bryan Cranston in it and as a Breaking Bad fan I’ve got to see this. Be sure to see it very soon. I’m glad that you stopped disliking him. sometimes actors/directors can surprise us. as disappointing as he has been lately, I still hold some ray of hope for Shyamalan. haha. Nice write up! I’ve not seen a negative review of this yet; it’s jumped way up there on my most anticipated films list. 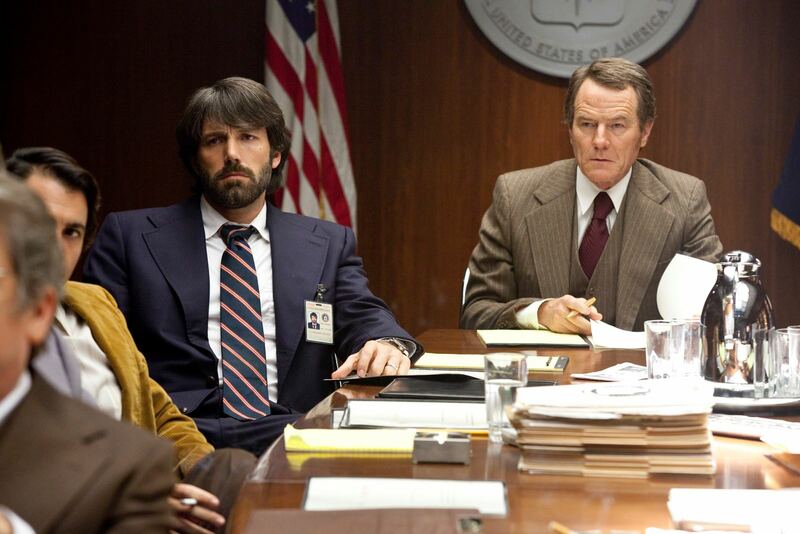 Not trying to add to the anticipation (the bigger they are, the harder they can fall), but ARGO is super super good. Thank you for taking the time to read/comment. I hope you enjoy the movie very soon. Great write up T, I could easily give this one a 5 myself, it’s really well-done by Affleck, gripping but also with some lighthearted moments that breaks the tension. I love John Goodman and Alan Arkin’s performances, they’re the highlights of the film for me. Thanks Ruth. This was such a great job by Affleck. Pretty solid stuff. And Goodman and Arkin…you’re right. they were the perfect addition in their roles. Music to my ears. Cannot wait to see this! Everything I was hoping for by the sounds of it! Good review and I’m glad that you enjoyed it as much as I did! I think Affleck is quickly becoming this great director, but I am at a loss when it comes to his acting, he’s not bad, he’s just not good either (in my opinion). i like End of Watch by the guy that wrote Training Day. Also i like Killing me Softly although there are several hideous mistakes with the beer drinking continuity in the middle of the flick. I still have yet to see End of Watch (a film I regret missing in 2012), but Killing Them Softly was just baaad.